BRUSSELS, BELGIUM--(Marketwired - July 19, 2016) - Goodyear and ThinkYoung announce today that Artur Ząbczyk, a student at Poland's Silesian University of Technology, has won their first ThinkGoodMobility Challenge. 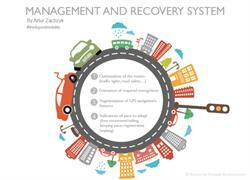 Ząbczyk's Management and Recovery System (MaRS) is an innovative combination that recycles energy from cars, with a real-time data traffic network to minimize travel time and costs for everybody. 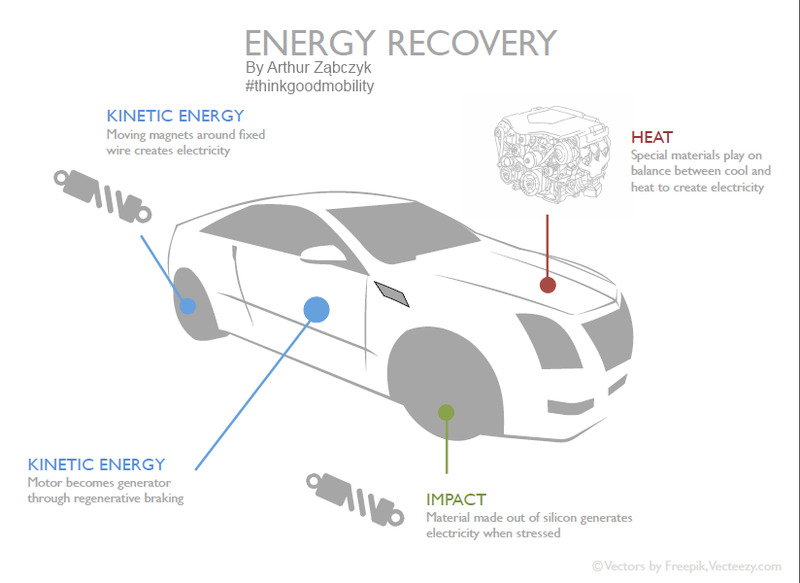 Imagine a smart system that can recycle all forms of energy (heat, kinetic and energy of impact) produced by the vehicle to set it 'sailing' (e.g. idle mode) in traffic. On top, MaRS complements the energy recovery with a smart information network including all cars on the road, contributing real-time data about velocity, accidents, and traffic signals. The system further optimizes traffic flow and the energy recovery of the cars. Ząbczyk, 23, said: "I'm thrilled to have won the first ThinkGoodMobility Challenge. It gives my generation the chance to share smart and sustainable ideas on how to address our future mobility needs with a positive impact on the environment and society." "Young people will lead the way to address new societal challenges and their future needs are at the core of our innovation thinking," Carlos Cipollitti, general director of the Goodyear Innovation Center in Luxembourg and member of the jury adds. "Artur's proposal stood out for its sophistication and potential for implementation. Using existing technology, he created a unified system to significantly improve efficiency for both the driver and the environment. MaRS could transform inner city travel in just a few years, radically reducing emissions and costs as well as improving our quality of life." "I really enjoyed being part of the challenge. My most important learning as an engineer is that technology and a solid business plan must go hand in hand. If you want to convince potential partners or users, you need to take them on a journey," concludes Ząbczyk. Ząbczyk's entry was selected as the winner from 73 submissions across Europe by a jury composed of professors from Europe's top universities, mobility innovators and industry experts. "It was great to see such a high degree of enthusiasm and innovation. The jury had quite a challenging job as all TOP 3 ideas had merit. In fact, combining these three concepts, if done successfully, could help to revolutionise mobility over the next decade," explains Jeremy White, Product Editor of WIRED and member of the jury. Second place went to Jacopo Runchi from Italy with a cool 2-4 wheel modular vehicle and finishing third was Siddartha Khastgir from the UK, who developed an area-wide smart zone and credit system, rewarding travellers for making smart mobility choices. The Challenge is related to Goodyear's research and innovation in the field of future transport and is part of its broader ThinkGoodMobility platform. ThinkGoodMobility is a content and knowledge platform empowered by Goodyear on smart, safe and sustainable mobility. The ThinkGoodMobility Challenge, organised by Goodyear in collaboration with ThinkYoung asks Millennials for innovative ideas to revolutionize future mobility and address challenges such as congestion, interconnectivity, sustainability and road safety towards 2025. The ThinkGoodMoblity challenge ran from October 15, 2015 till March 30, 2016. Carlos Cipollitti, general director of the Goodyear Innovation Center in Luxembourg and member of the ThinkGoodMobility Challenge, is available for interviews.